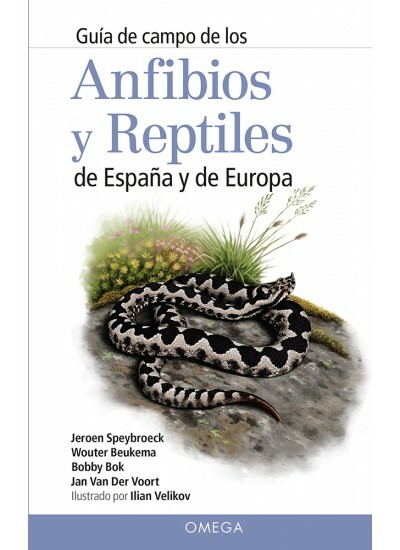 Welcome to Jeroen Speybroeck's website on amphibians and reptiles of Europe and the world. 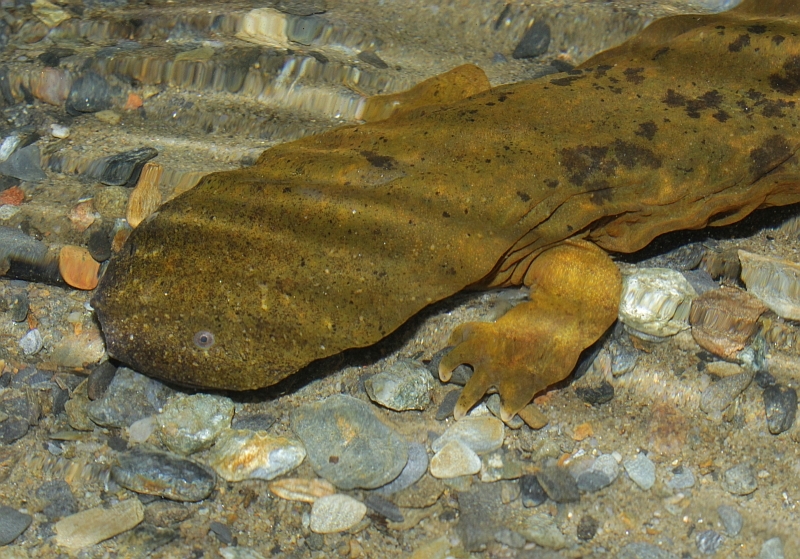 Here's a winter report of some dedicated salamander hunting in SW Turkey! Here’s the report of a splendid week on the Yucatan Peninsula, S Mexico. Here are some photos of a family trip to Slovenia and a genuine trip report of a more dedicated trip to Corsica. Extended weekend trip from Belgium to Liguria and back with my son Bas. It was great to be in one of my favourite parts of Europe, even for a short while and seeing spectacled salamanders again. Here’s some more. Ventured into a to me largely unknown continent and had a suboptimal but still pleasant trip. Here’s the report. * December 21th 2017 - three trip reports! Here’s an early Christmas present: catching up with reports of trips to northwestern Spain, Lorraine and the Pyrenees. Jan and I are working on the Dutch version of our book. A Spanish and a French one are also in the making. It's been a while, hasn't it? Here is the report of a family herping trip to southern Greece. A new species described, a new short trip completed! * March 19th 2016 - book finished! Here it is, the result of five years of labour, featuring 219 species, 368 colour drawings, 134 black-and-white drawings and 227 photographs, covering 432 gorgeous pages. Had a good trip and found more than I had hoped for. Here it is! Another fantastic trip! Another lengthy report! Both main trips a bit longer now :). Very few species, as to be expected, but a cherished memory on this short island trip. Hopefully, there will only be drought, freezing cold and strong winds at home while I'm gone, because I'm hoping to do as much fire salamander monitoring as last year. The taxonomy in the European species overview has been updated. - All the main morphotypes of the Iberian Wall Lizard complex have received species status, with Podarcis guadarramae and Podarcis virescens as the most recent additions. The jury is still out on the change of Laudakia stellio into Stellagama stellio, the split of the Common Toad, the genus names of true toads, etc..
More touristy than herp-directed, but the few specific targets I had set were met and it was great to be back in the wide open US deserts. A rather touristy report is here. * April 22nd 2014 - blackout fixed! The pictures in the reports from before July 2007 are back up, thanks to the Gijs's great support. Feel free to get in touch if anything is still missing or otherwise not as to be expected. While I will be doing more local herpetological stuff than ever, 2014 will be slow in terms of trips. 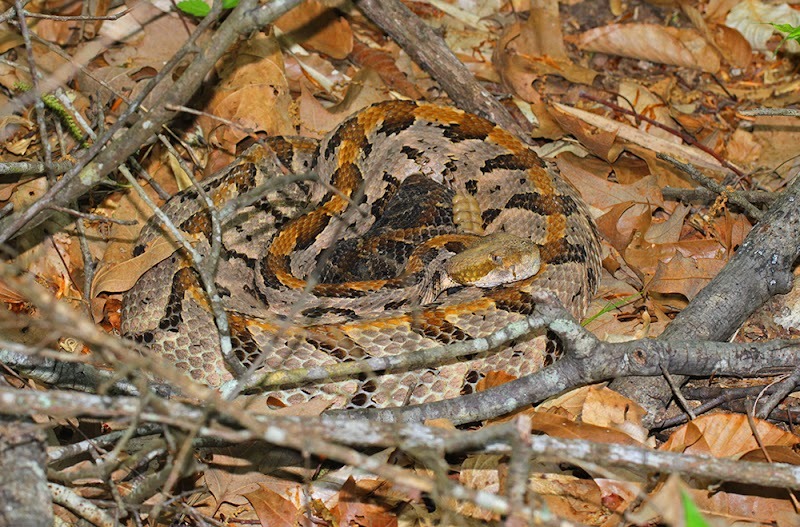 No dedicated herping trips, although from April 26th until May 11th I will travel to the USA for two weeks (mainly Louisiana, Texas, New Mexico and Arizona) with a non-herper friend and try to spot at least a few species. Just a quick message to let you know that I am aware that the pictures in the reports from before July 2007 are not showing. I will fix it asap. Made a fantastic short trip to Italy with dear friend Wouter Beukema and wrote a small report. 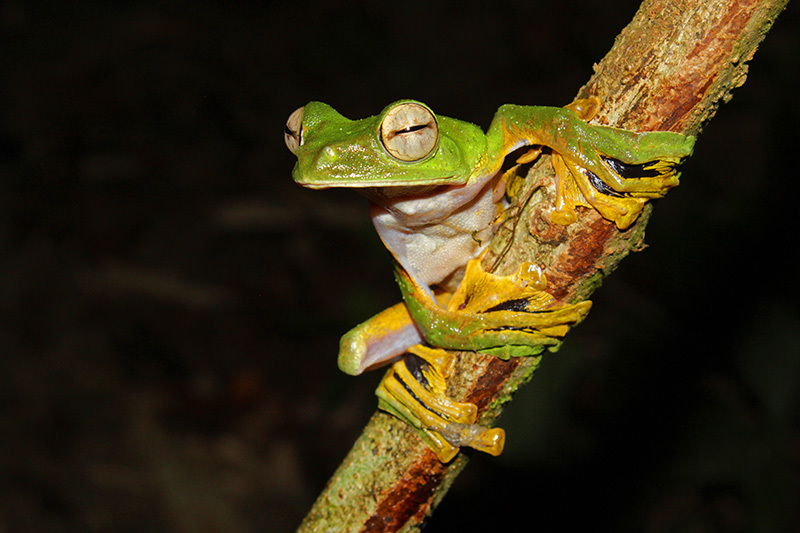 Here is my longest report so far, featuring >120 species of amphibians and reptiles. Next Friday, July 5th, Peter Engelen, Frank Deschandol, Bobby Bok and me are off to the Peruvian jungle for 3 weeks. After that, 2 weeks family time in Ireland, so Amazon photography will be online around halfway into August. Had a great tour, including an absurd adventure. Lead to this report. * April 15th 2013 - spring! March and the beginning of April were much more winterish than usual. While the shortest frost-free periods already allowed for >120 fire salamanders, only now the true signs of spring seem to emerge. * February 12th 2013 - Peru's fixed! 18 days in the Amazon jungle with some of my best herper buddies! Yeah! * January 29th 2013 - spring? Great trip! Here are the pictures. Two weeks in S France did not deliver much, herpwise, except for some of the usual suspects. Next stop - Arizona! The 2 below portrayed newbies spotted, I'm back at the finish line of my pointless quest to see all European herpetofauna species (except former Soviet areas) - until the next splitter comes along ;-). Champagne! A very rainy but great trip, with this report. Finally had some time to go out. A bunch of parsley frogs and this pretty boy made the day. * April 13th 2012 - another anxious countdown: spring trip to NW Iberia coming up! Two weeks left before we head south. Jan, Bobby, Bert, Wouter, GertJan and me will hit the northwest of the Iberian Peninsula. Two splits cause the silly desire for Jan and me to reclaim our title as top European freak twitchers (shame, shame, shame). More importantly, I have been wanting to explore this beautiful part of the continent for a while. Among many others, a variety of salamanders and vipers will shape our menu. as usual, the year starts with the same thing the last one ended. here's a female depositing larvae in shallow water, despite no rain for 2 weeks or so. the best has yet to come. Here are my preliminary hopes and dreams for the year ahead. Just got back from what will most likely have been my final Salamandra outing of the year. Put some pics of this year together here. All the best for 2012! Although a very mild winter still makes it worthwhile to do some local herping, the "herpetological year 2011" is more or less over. It has been a very exciting year, not in the least for the wildlife I got to see outside of Europe. As fatherhood awaits me in 2012, it's hard to tell what next year will bring, but I will probably come up with something at least. 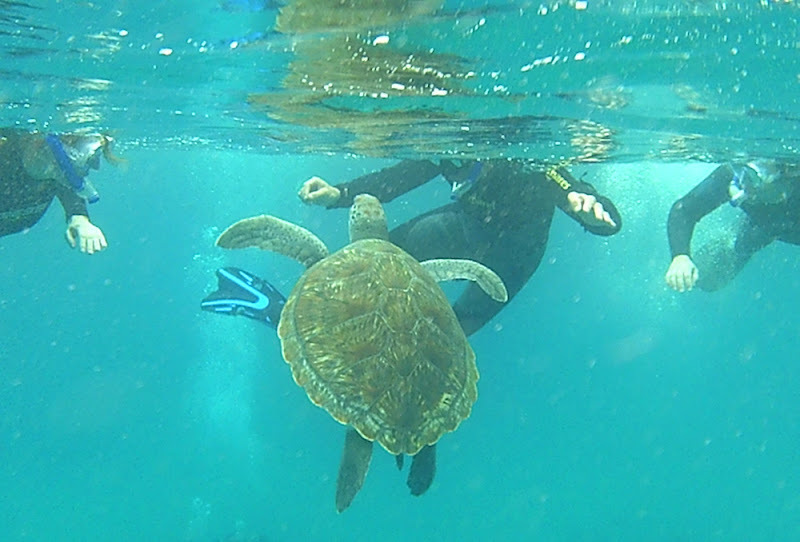 Lazy week of snorkeling at the Red Sea, with just a few reptile sightings. Together with two dear friends paid a little visit to some spots in the Netherlands during the weekend. Too lazy to take pictures of "regular" species but here's some stuff anyway. Well, that was different. Managed to find a pretty decent collection of herpetofauna. Too lazy to write a full report for this Europe-centered website, so please go to my web album. Off to the USA for four weeks. Not at all a true herping trip, I still hope to spot some cool animals. A short report for a short trip with the friends. * June 6th 2011 - made it! Kythira was nice and we made it to that lizard rock this time. Here is the brand new report. UPDATE June 7th - inserted 1 picture by Jan and 3 additional ones by Tekla. Intranational weekends and trips aside, the rest of the year's holidays are more or less planned now. - From May 28th to June 5th, there's the trip to the Greek island Kythira, from which we will try to reach the islet Pori/Prasonisi, hoping to observe my final Europe-without-ex-Soviet-states herpetofauna species, Podarcis levendis. - Furthermore, to celebrate my mother's 60th birthday, the family will spend a week at the Red Sea in Egypt. As a consequence, my ample supply of free days will run out, so no more specific field trips for 2011. We'll see if setting foot on two new continents might allow me to spot at least a lizard or two. Of course, there are plenty of plans already for 2012 and after ;-). A freak, I salute you. And yet another great trip with this result. UPDATE - inserted an ultrashort little film, made by Bobby. A daytrip to northern France. EDIT - A bit more spring stuff. Nearly drowned, but not without seeing tons of amphibians. Here's the report! BTW, I intend to do my reports with slightly larger pictures from now on - hope you like it. That's it for this year. 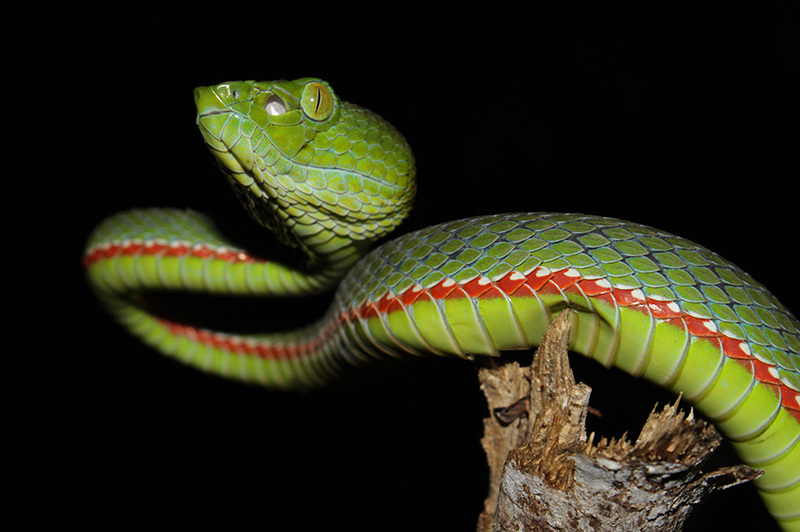 Have a nice end of the year and until 2011 herping! One week to go, and then we're off. Herping crew will be Bobby Bok, Jan Van Der Voort and Sander Schagen. We'll also briefly meet with Wouter Beukema and his father, as well as with Frank Deschandol, if all goes according to plan. Maybe/Hopefully also with Luis Garcia, when we hit Spain. My next news post will link you to the trip report. After some radio silence, the site of our Dutch soulmates is finally back in a very cool new design - Klooiplek. Added 2 more short films to the Menorca report. Here it is, as well as Bobby's. * October 31st 2010 - Menorca report coming up ! Back from Menorca today. A more relaxed trip than usual, but we surprisingly easily managed to find everything on the species list of this beautiful island, including a fantastic total of 11 'Algerian' False Smooth Snakes (Macroprotodon cucullatus). New trip fixed. From 17th until 24th of December to the south of Portugal and the southwest of Spain, hoping to enjoy the winter amphibian activity overthere. Actual content not really fixed, but surely on the menu are Pelodytes nov. sp., Lissotriton (boscai) maltzani and much, much more. Hopefully also Salamandra (salamandra) longirostris in adult form this time. At least with Bobby, but other freaks will possibly join. The Balearic plan is more or less fixed: from 24th until 31st of October, to Menorca. Hoping to find a living Macroprotodon this time, settling a 2005 debt, and finally a chance to herp together with Matt Wilson. * August 13th 2010 - and more! Some pics from Sander and Teja. * August 12th 2010 - more! Here's Bobby's report - part 1, part 2 and part 3, and some pics of Wouter are here. * August 9th 2010 - 65! A list of 65 species is one way to summarise an unforgettable Eurotour. Report coming up, although it'll take a bit longer than usual. Tomorrow leaving on a herpless 10-day holiday to Scotland. After that, one day to wash clothes, followed by The Grand Tour from July 14th until about August 11nd (see news post of Feb 3rd). Meanwhile, the Gambian trip is postponed to probably next year, leaving some room for we'll-see-what-pops-up in autumn. Together with knowledgeable colleagues Wouter Beukema and Pierre-André Crochet, I have written a review on European herpetofauna taxonomy, which is now finally published. Here's the paper's preview, but I'm sure you'll be able to find me, if you want more. Apparently, Firefox users had trouble viewing the latest report. This should have been fixed now. If not, just let me know. In other news, I need to find a new server for the pictures in this website starting May 15th, so there might be a temporary and hopefully short blackout. No arctic volcano could keep us from admiring the Etna. Back from Italy and an excellent trip. Here's our kingsize report. After some days of anxiety and trying to come up with a plan B, it seems our Saturday flight will operate as planned, after all. Relieved!!! Here are some rough sketches of the preliminary 2010 trip plans. While waiting for spring, I have been adding some things to the "The making of..." page. General travel plans still the same. Prepared already a lot, so really looking forward to the first trip. Back from Samos with once more a pretty good result. Here's the report. Just little over a week now, before we take off to Greece once more. An international team of 14 people from 7 different nationalities. Can't wait! Next year's plans still vague, but already one fixture: a July trip to Slovenia with the larger 'Hyla family'. Final trip for 2009 to Samos, from the 16th until the 23rd of October. Will be quite hard, given the season and the alleged low abundance of some species, but we're going for it! * July 7th 2009 - what’s next? Summer will be quiet. Autumn 2009: big chance for Samos in October. Spring 2010: maybe trip for Zamenis lineatus, tiny islet Podarcis raffonei and others. Maybe Menorca (Macroprotodon). And then there’s still Podarcis levendis. And the rest of the world. Always lots of places and animals to explore and enjoy. We're back! Didn't make it to Pori, but had quite a good result on Crete. Here's the report. Jan, Gijs and me, together with our Greek friend Ilias Strachinis, will go to Crete soon! Off on June 19th, back on June 29th. Included: boat trip to see Podarcis levendis on the tiny islet Pori, north of Antikythira. It will be hot, so hard(er) to find some species, but an advantage might be the bigger chance to spot Caretta caretta. Here's the fresh report of our very enjoyable trip to Corsica and northern Sardinia. In about 2 weeks (May 12th), Tim and I are leaving for Corsica (back on the 21st). No 'new' species on my menu, yet an astonishing destination. Hope to take better pics (vs. 2003 - Euleptes, Euproctus, Salamandra, Discoglossus, ...). Flying to Alghero (NW Sardinia), so probably also some Sardinian sites (Euproctus platycephalus!). Crete in June is still up. Will be hot, but the endemics should be not so hard. Advantages: should give us a shot at Caretta and maybe the endemic pale subspecies of Cat Snake. Still working on transport to Podarcis levendis too. Just released a new page, constructed with old stuff. It displays the European herps in systematical order, thus providing an illustrated overview of the European amphibians and reptiles (>15MB). Replaces my similarly named PDF, because easier to edit etc. I have inserted a pic of a Teira dugesii from Lisbon on this page (scroll down). Seems like Podarcis raffonei might have to be removed from the list of observed species of our 2005 trip... Already plotting to have another go at it. Plans remain: Corsica in May, Crete in June. For October, hopefully a trip to southern Italy or Sicily with a larger team. * 6th of March 2009 - At last! All pictures are back online now. I will do what I can to keep it this way. Sorry for the inconvenience; I am sure I hated it as much as any of you. Together with this, my NeMys EUROHERP Database is slowly being resurrected too. Will take a while before all is well again, though. Here's the report of our Sardinia trip. 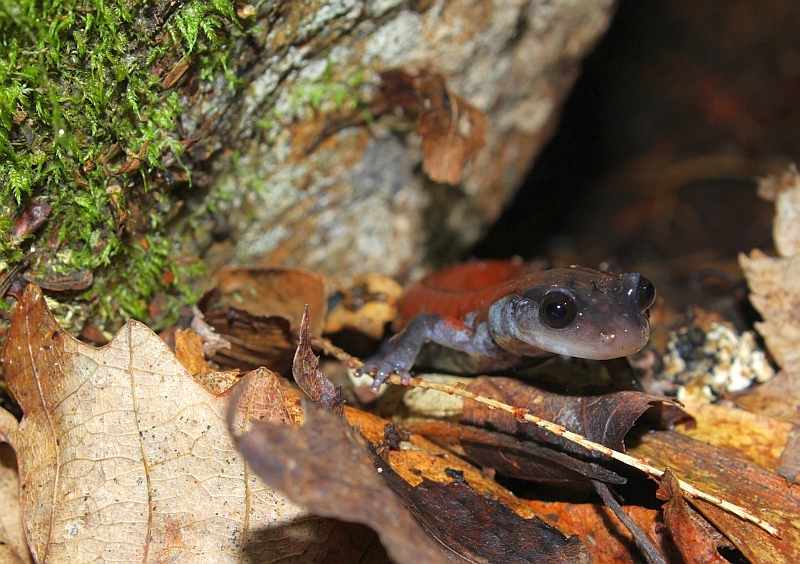 Next Wednesday, we're off to Sardinia for our salamander hunt. Overthere, weather seemed to be terrible for reptiles and maybe even amphibians at first (freezing! ), but now seems to be slowly improving. Each different forecast website tells a different story, though. Fingers crossed! Some plans: Corsica in May and Crete in June. However, nothing 100% fixed yet. Just got back from a Lisbon citytrip. One of the four days was not cold and rainy, so I payed a visit to the spot where Teira dugesii (Madeira Wall Lizard) has been introduced (discovered in 1992). Still around: I observed quite some juveniles and a couple of adults. Also a single Podarcis at a nearby site. Finally a new herp trip fixed: we're off to Sardinia 25th of February and will be back on the 4th of March. Ready for 2009! P.S. : Temporary disappearance of some pics on this site is (also) related to NeMys Euroherp being down. Will try to get those pics up again asap. As by now Europe has revealed most of its herp treasures to us, our joined interests and targets for future herping trips are becoming less obvious. Furthermore, not all of us are attracted to the same destinations. However, it seems rather certain we will keep on herping together, every now and then. Actually, the idea of a winter salamander trip to Sardinia was mildly revived, when our team's core members met at our Hyla society's biannual 'convention' a couple of weeks ago. Perhaps in February! Other stuff: Jan's off to Gambia again very soon and Peter and others will go to Florida at the end of April. I am hoping to join in on the Florida trip or maybe spend the Easter holidays on Corsica = a revisit I've been wanting to do for a while now, in order to replace my 2003 pics with some more decent ones. Looking further ahead, an autumn trip to Crete or maybe Sicily would be nice, but way too early to fix yet. We'll see; drop by again later. Adrenalin levels running low, as I have no concrete trip plans to look forward to, yet a house to restore, rebuild, re-re-re, ... . I was hoping for a winter salamander trip to Sardinia, but unsure at the moment. Those few of you who missed it so far, please enjoy the terrific website of the European Field Herping Community, as I have been doing for the last couple of months. EUROHERP remains unfortunately down until further notice. Our Hyla weekend turned out pretty good. Forum post (in Dutch) can be found here. My consecutive Swiss trip was very enjoyable but (very) low on herps - just a couple of asps on a day out together with Konrad Mebert. Butterflies and some special dragonflies caught my attention, as well as hiking. NeMys is still very ill, so EUROHERP remains unfortunately infected a little longer. Nevertheless, I would already like to mention that two new lizard species have been described from Greece (Lymberakis et al., 2008). Two pieces have been chopped of the Podarcis erhardii superspecies: Podarcis cretensis from Crete and surrounding islets and Podarcis levendis from the islet Pori (at 7,4km north of Antikythira). Tomorrow, I'm off for our annual Hyla weekend. This time, we hit the Brenne region near Chateauroux (France), rich in ponds and aspis. After that, I will be moving on with some friends to Switzerland for a "non"-herping holiday. Depending on the beasts I come by, both trips might result in a small report but we'll see. In other news, the NeMys server, hosting the EUROHERP database, is suffering from hacker attacks. No content changes or additions until this has been dealt with properly. Here's the report of our fabulous Montenegro trip. On the 'Jan's reports' page, there's a new report of a trip to wonderful Corsica. Our next trip will be from April 25th until May 9th and our target is Montenegro. Taxa of special interest are the regional endemics, including the newly described Prokletije Rock Lizard (Dinarolacerta montenegrina). On the 'Jan's reports' page, there's a new report of a trip to Montenegro. Ideal preparation to our forthcoming trip to the very same country! BTW, happy 2008! All scientific species names on all pages are now linked to the corresponding EUROHERP pages. This will also allow me to change names (in case of taxonomical changes etc.) throughout the site more easily in the future, keeping them all up-to-date. Here's the report of our Symi trip. Hope you like it. This concludes 2007 herping trips for me. Looking forward to 2008! Yes, yes, a new trip is on its way! Inspired by the adventures of our UK colleague Matt Wilson, we will finally start to move outside Europe's geographical boundaries and do an Asian Greek island next October. Symi will be the one. Small, but exciting, due to the presence of fifteen species, among which Hemorrhois nummifer and Eirenis modestus. Further away from Europe, Jan, Gijs, Peter and Anniek will visit Gambia next December - hope to post a report here too! Travel plans for 2008 are still a bit vague, but Croatia and Montenegro are serious candidates. Crete, Sicily, Sardinia and Corsica are also still on the list, as well as some exciting non-European destinations like Georgia, Turkey and Morocco. Our Hyla team had its annual weekend in Germany this year. Here's a little post about it. Back from a trip to parts of France, Italy and Spain and here is the report. Most likely, we will add a visit to the Columbretes Islands to our trip. Though the isles' wall lizard (so-called Podarcis atrata) is best treated as Podarcis liolepis atratus, we still like to get on that boat and take a look at it. Jan and I intend to visit a couple of places in central and southern France, NE Spain and NW Italy for Calotriton arnoldi, Bombina pachypus, Speleomantes strinatii, Speleomantes ambrosii and Salamandrina perspicillata. The first one is the main attraction for me, the others I'd like to re-photograph. We'll also pay a visit to the unfortunate French Xenopus area. We hope to leave around the 21st of July and get back on the 29th, meeting some fellow herpers along the road. Don't expect a long species list in summer - we just can't stay at home any longer. I'll write a report anyway, though ;-). On July 6th, I will defend my PhD and leave my university. My UGent mail account will die pretty soon. The one you may find at the bottom of each page of this site remains active. Following a guestbook suggestion, I created a The making of ... page. No doubt, it will be modified soon, but it's a start. Comments are welcomed. And here is the Romania report. While Malta got our engines up and running, we're off to Romania in as little as two days. Special desiderata are Meadow Viper varieties, two newt species and Steppe Runner. We will meet local herpetologists such as Alex Strugariu, Ioan Ghira and Iulian Gherghel. Leonard Zammit will be joining in from Malta for the first part of the trip. Back on the 28th. Early this morning, we got back from Malta. It was another good one! Check out the fresh report. Finally, 2007 takes its true start. Tomorrow, we're off to Malta, among other things trying to find a specimen of the elusive European population of the Algerian Whip Snake. Back on May 3rd, so you know when to expect a fresh trip report. Furthermore, I have moved the Jeroen's herp list page and integrated it into the About me page. Some pictures of a Belgian traditional (revisited last weekend) - 16 species observed. Some new names for rock lizards (formerly know as 'Lacerta' s.l. and Teira perspicillata) - check out the EUROHERP database. On the 'Jan's reports' page, there's a new report of a trip to Greece (Peloponnese and Milos), even more amply illustrated than Jan's previous reports; check it out! As already mentioned below, last weekend we had a newt photoshoot of which I have put some pictures together on this page. Not all as good as I would have liked but at least better than the ones I had until now. On the 'About me' page, there's a link to an illustrated overview of the European herpetofauna I made. You will see that there are some gaps, due to species still to be encountered or some that I saw a while ago without taking a picture. Furthermore, some have crappy pictures, which I will hopefully replace in the future. Up first for replacement are the pics of newt species living in my own country, scheduled for a long-awaited photo shoot next weekend. On the 'Jan's reports' page, there's a new report of a trip to Bulgaria; herpetological observations are listed below the bird list. Before I started making trip reports, fellow herpetophile Jan Van Der Voort made some nice ones of his trips too. In the 'Trip reports' section, a 'Jan's reports' page with links to illustrated reports in Dutch by Jan Van Der Voort is now available. First report is on a 2002 trip to the Danube delta, preparing us for our 2007 trip through that area. More reports to follow. In the 'Trip reports' section, a 'Before (1999-2003)' page with links to my older reports is now available. In a rush of megalomania, I created an 'About me' page. First of all, best wishes to all field herpetology loving visitors of my website. Friends Peter and Anniek, two of my most regular travel companions, were bold enough to do another trip at the end of last month. They crossed European borders and went to the south of Tunisia. You can download their report here; it's in Dutch but the pictures speak for themselves. Report is (c) of Peter Engelen. 2006 herping is over for me. I was able to observe 101 species this year, so it was a good one. My herpetological plans for Spring 2007 are most likely Romania (Danube river delta and Carpathians) and Malta. The south of Italy and Crete are also high on the list. Feel free to drop by and read the reports later.